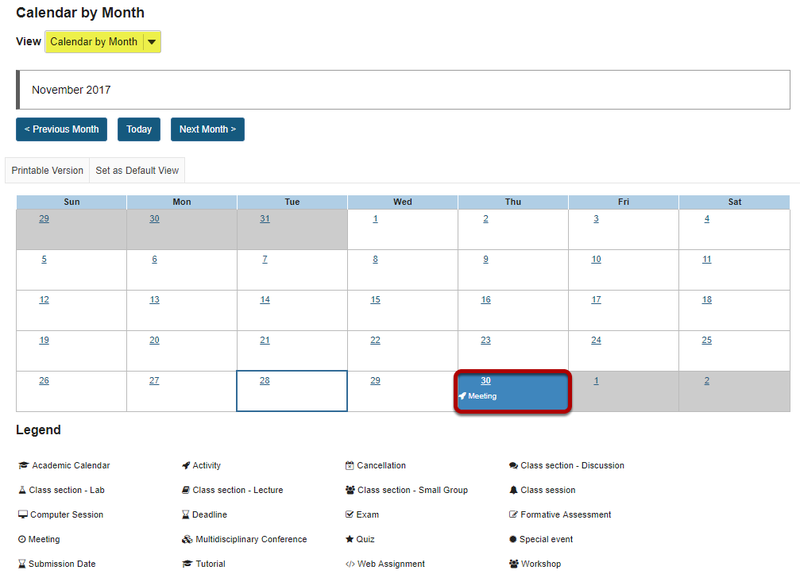 Sakai Community DocumentationSakai 19 User Guide (English) CalendarHow do I view calendar item details? Click on the item you want to view. Tip: If you have concurrently scheduled events, it may be difficult to view their titles. To see more details for a particular day, from the "View" drop-down list, change your calendar's view to Calendar by Day or List of Events. 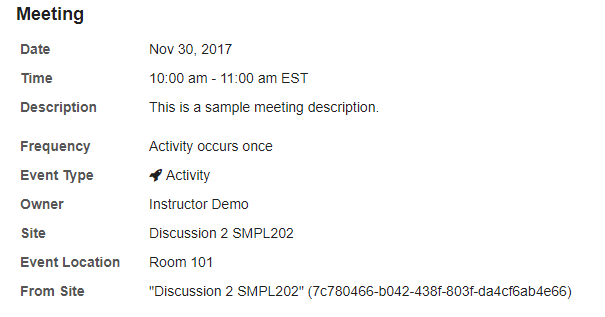 Prev: How do I customize my Calendar display? Next: How do I change the Calendar view?